While many smartphones for India are still not powered by Qualcomm Snaprdragon 800 chipset, this hasn’t stopped Qualcomm from making a new and improved chipset. Qualcomm has unveiled the next generation of the Snapdragon 800, dubbed the Snapdragon 805. 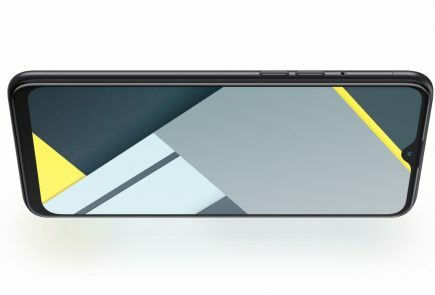 Along with this new processor the company adds support for the Ultra High Definition video(UHD) playback on smartphones, tablets and televisions. This will have a new Adreno 420 GPU, which will provide up to 40 percent more graphic processing power than its predecessor. 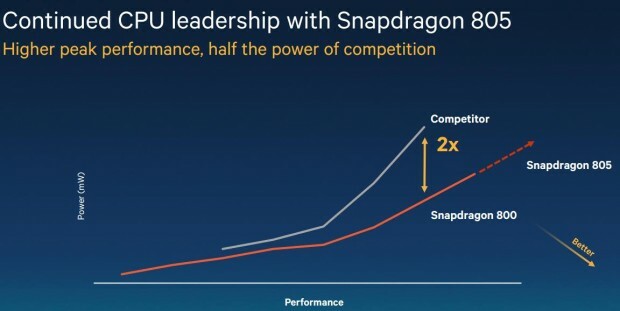 The new Qualcomm Snapdragon 805 chipset features a Krait 450 quad-core CPU, to which the company claims is the first mobile CPU to run at speeds of up to 2.5 GHz per core. This will communicate with memory at 25.6 GB/second at the max, to make all apps run faster. Qualcomm says the Snapdragon 805 also supports Hollywood Quality Video (HQV) for video post processing, and has hardware 4K HEVC (H.265) decoding for extremely low-power HD video playback. The new processor will come with 28 nm Gobi MDM9x25 modem to support higher speeds for, 150 Mbps LTE. It will also have an option of a new LTE modem, 20nm Gobi MDM9x35 which will bring speeds upto 300 Mbps LTE advanced. Qualcomm says that both chips support “all carrier aggregation band combinations approved by 3GPP” while enabling manufacturers to bring LTE devices to market faster. Overall, when this will be available to the users in the smartphones they can expect smoother video recording and faster image processing. 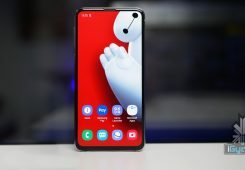 As said by Vice President of Qualcomm “Using a smartphone or tablet powered by Snapdragon 805 processor is like having an UltraHD home theatre in your pocket”, but we will have to wait and see which smartphone will first support this processor, although we do have some suspects. The Snapdragon 805 processor is sampling now and expected to be available in commercial devices by the first half of 2014.